If you’re looking into buying a lake home, then one of the things you should be sure to do is to look into the rules and regulations related to building and owning a private dock. For a new private dock, most homeowners associations will usually require that you submit an application in order to obtain a permit allowing you to build a private dock on your lake front property. You’ll also be required to pay a fee for the permit. However, don’t just assume that your application will be accepted. Before closing on the property, ask your realtor to create a contingency in the sales contract to ensure that building a private dock is a viable option. Once you actually do receive a permit to build a private dock, there are usually a number of restrictions that you’ll have to abide by. 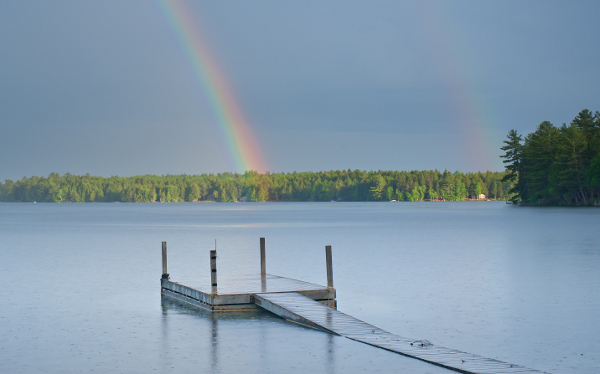 Avoid damaging the ecosystem – The lake is part of an ecosystem, which means you have to be careful not to disrupt or damage it when building the dock. All parts of your dock need to have limited adverse impact on the surrounding aquatic ecosystem. This means that you’ll often be restricted from removing any aquatic vegetation or excavating any bed material in order to clear a path for your dock. If this is the case, you’ll want to take careful account of the area of water contained between your property lines to make sure building a dock will be feasible without disrupting the ecosystem and what the best way to do so is. Blocking public access – If your home is near a public part of the lake, then you have to ensure that the dock won’t block access to the water when you are planning it out. Your dock also cannot enclose an area of public water space, thereby creating a private area of water space for yourself. These restrictions are relatively easy to abide to as long as you are aware of your property’s boundaries. The location of the dock – Private docks are usually required to be built perpendicular to the shoreline in order to maximize the offsets from any neighboring properties. Docks, moored vessels, hoists and other structures allowed by the permit will often be required to be offset at least 5 feet from the adjoining property line. More often than not, a minimum gap of 10 feet will be required between adjoining docks, moored boats or hoists. Again, as long as you understand where your property lines are, restrictions such as these should be easy to abide to when planning out your dock. The length of the dock – Most areas have restrictions on how long your dock can be. The length should not be longer than what reasonable access to the dock would be and should not impede anyone else’s use of the lake. A minimum depth of 3 feet is considered adequate for boat access. Displaying the Dock ID – Docks are usually required to display the address of the property they belong to as well as the dock permit number. This must be legible and must be displayed at the end of the dock facing outwards. Removing the dock – Depending on where you are located, you may be required to remove your dock during the winter months. If this is a requirement, then you’re only option will be to build a floating dock. If your dock can stay in place all year long, then you can build a stationary dock. Avoid enclosing the dock – Many areas do not allow dock owners to enclose their docks using roofs or sides. However, usually the hoists can be enclosed, as long as you use roofs and sides that are constructed of synthetic fiber materials or soft-sided natural fiber for the purpose of protecting your watercraft. Material requirements – Some areas will also have restrictions on the types of materials that you can use to build your dock. Obviously, this is something you’ll want to go over carefully before you begin planning its construction. Free flowing water – When planning the construction of water, you cannot inhibit the flow of water beneath the dock. If you know what you are doing or have hired a professional to help build the dock, then this should not be an issue. These are some of the common restrictions you might run into when looking to build a dock on your lake home. 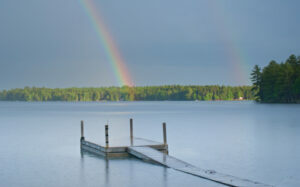 Always check the restrictions and requirements before deciding to close on a new lake house.